I wish you and your families all the best for the holy month. To my readers who are not familiar with Ramadan, it is the month every year when Muslims around the world fast during daylight – no food, no water and no smoking until the sun is down. Another significant event that took place during this month is the revelation of the Holy Quran. The small attractive mosque above is in Fintas. I took the photo earlier this evening at sunset. 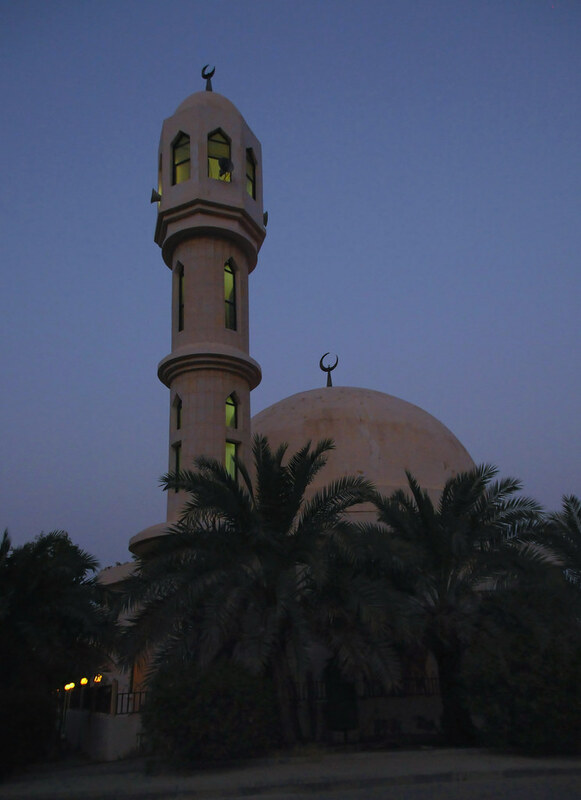 I love everything about the holy month of Ramadan. I find fasting easy even with the thirst in this terrible heat/humidity. 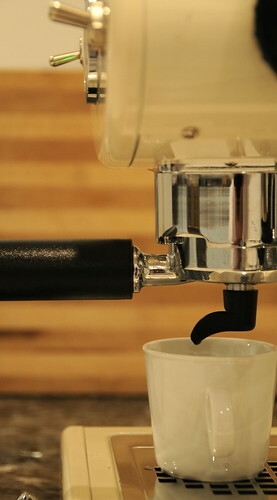 What I find most difficult is not being able to have freshly brewed coffee. Comments Off on Ramadan Mubarak…. … to all.This was my way of celebrating the start of the holy month. 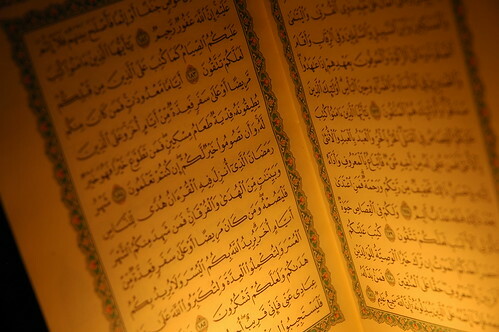 The first photo, on the first day of Ramadan, of the holy book with the the focus on the word Ramadan. I hope all your prayers are answered. Enter your email address. Subscribe to receive email notifications of new posts.